ANZAC Day is always a day of great respect and reflection for those from Australia and New Zealand. 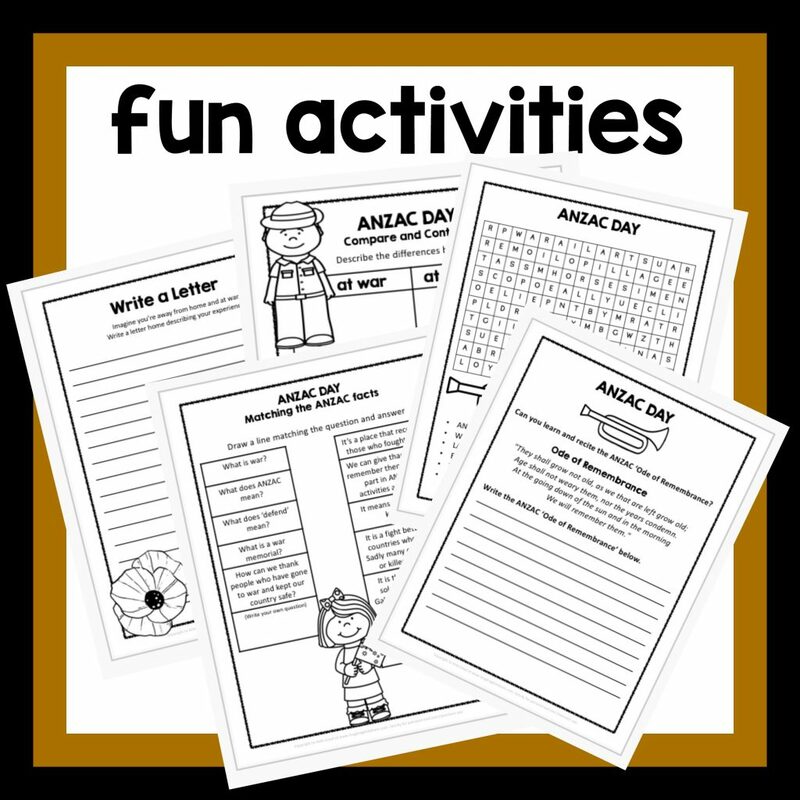 Unfortunately there seems to be quite a lack of quality resources available to parents and teachers, so I decided to put together an ANZAC Day activities and craft pack. 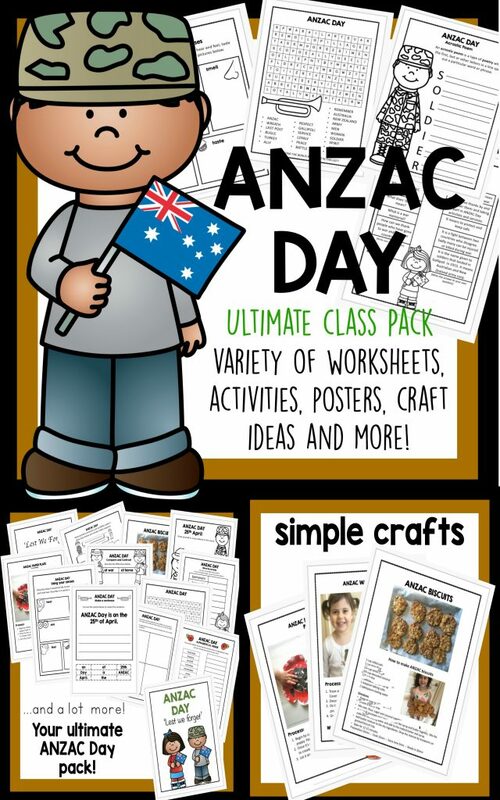 This ANZAC Day Activity, poster and craft pack has everything you need to engage and educate your child at home or grade 1 – 4 students about ANZAC Day. 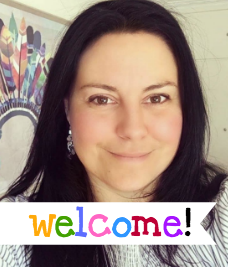 It’s available for purchase on my TpT store and is great value. Full of fun activities, thought provoking worksheets, posters and simple crafts, your children will develop a sense of understanding and compassion for those who fought at Gallipoli in 1915. 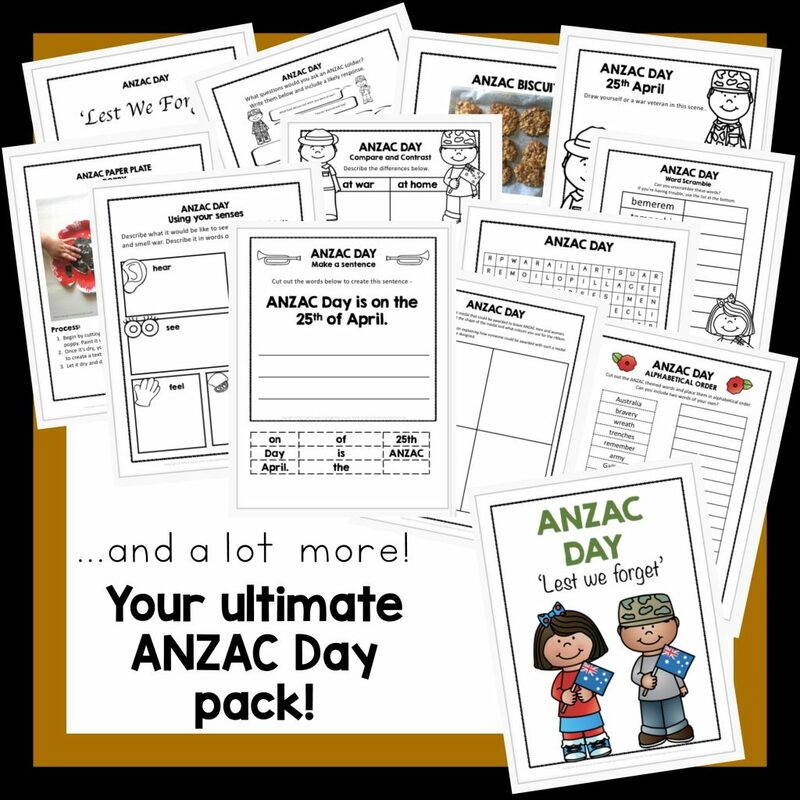 So if you’re from Australia or New Zealand and looking for good quality ANZAC Day resources, be sure to check out this pack. It’s now available for purchase on my TpT store. 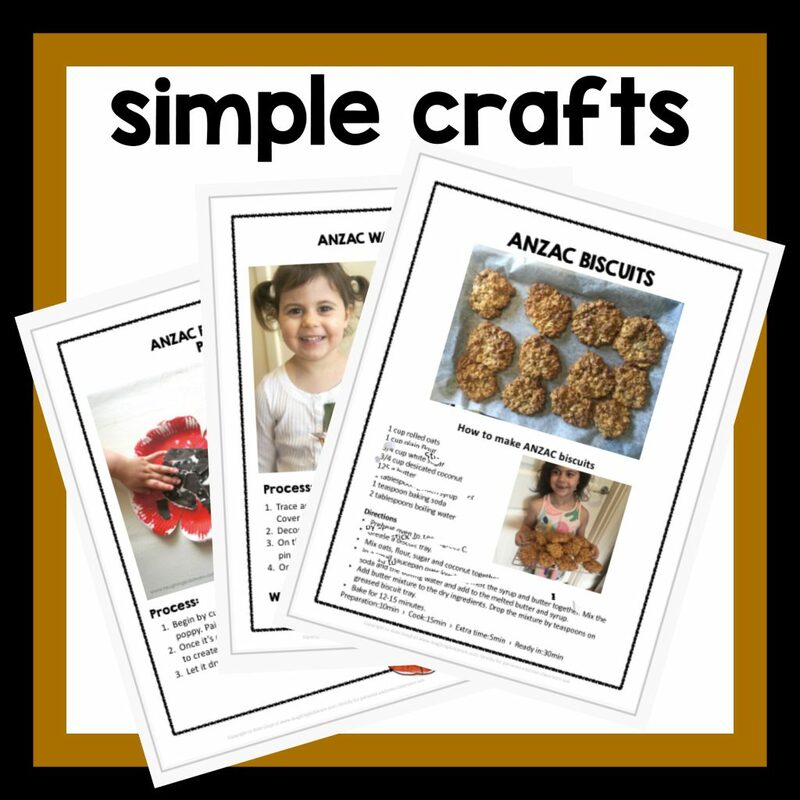 How do you celebrate ANZAC Day with the child in your life?